Everyone knows about the Warren Buffets, the oil sheiks of the Middle East and Bill Gates’ of the world, but there have been others throughout history who have achieved colossal wealth, whether through building political empires or personal business fortunes, that dwarf the ones we know today. This list presents ten of the wealthiest people through recorded history, with their coffers measured in today’s money for relative comparison. Many of them could have bought and sold Gates and Buffet in a heartbeat, which puts things in an interesting perspective. 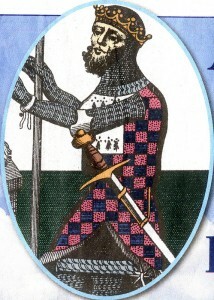 A companion of William the Conqueror during the Norman invasion of Britain, Alan Rufus, who is also known as Alain le Roux or Alan the Red, received some 250,000 acres in land grants as a reward for his allegiance. His property stretched throughout Yorkshire, Norfolk, Suffolk, Cambridgeshire, Northamptonshire and London. His investments in steel only furthered to expand his fortunes, totaling some �11,000 by the time of his death in 1093. This would make Alan Rufus the wealthiest Briton in all the history of Wales, England, Scotland and Ireland. His fortune was estimated to be equivalent to �81.33 billion, or roughly US$162.73 billion, in 2007. He left no children and his estates passed to his brothers. His legacy is Richmond Castle, above the River Swale in North Yorkshire, which he began building in 1071. Certainly for Mr Rufus, life was as comfortable as it could be for anyone in the 11th century. At the time of his death, his wealth was noted as �11,000, 7% of the net national income of England. In 2007, it was estimated that this was equivalent to �81 billion. 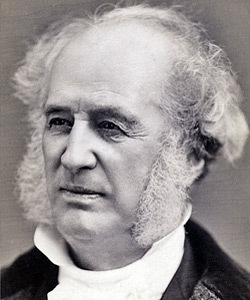 Cornelius Vanderbilt was a U.S. entrepreneur who built his wealth in shipping and railroads and was the patriarch of the Vanderbilt family (he was father to 12 children). His net worth of US$105 million in 1877 was equal to 1.15% of the U.S. economy in his day. 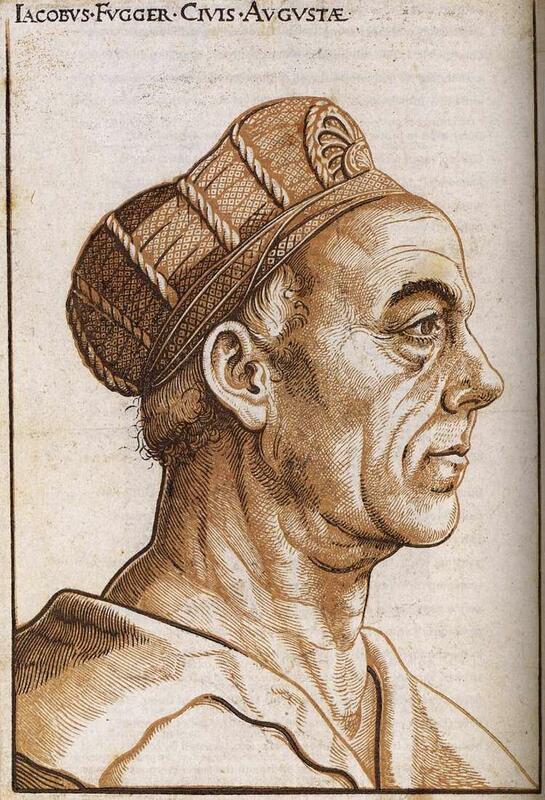 In his will, he disowned his sons except for William, who was as ruthless in business as his father and the one Cornelius believed capable of maintaining the business empire. At the time of his death, Cornelius Vanderbilt’s fortune was estimated at more than $100 million. He willed $95 million to son William but only $500,000 to each his eight daughters. His wife received a $500,000 in cash, their modest New York City home, and 2,000 shares of common stock in New York Central Railroad. With a real value estimated somewhere between US$143 billion and US$178.4 billion adjusted for the late 2000s, Vanderbilt is perhaps the second wealthiest American in the history of the country. In 1896, Ford attended a meeting of executives at the Edison Companny, where he worked as an engineer, and at that time was introduced to the company founder and famed inventor/businessman, Thomas Edison. Edison approved of Ford’s automobile experimentation; encouraged by him, Ford designed and built a second vehicle, completing it in 1898. Backed by the capital of Detroit lumber baron William H. Murphy, Ford resigned from Edison and founded the Detroit Automobile Company on August 5, 1899. However, the automobiles produced were of a lower quality and higher price than Ford liked. Ultimately, the company was dissolved and he opened The Ford Motor Company later that year. As owner of the Ford Motor Company, he became one of the richest and best-known people in the world.Ford left most of his vast wealth to the Ford Foundation but arranged for his family to control the company permanently. The Fugger family was a highly influential clan of German merchant princes. The family�s initial wealth can be traced to Hans Fugger, an enterprising weaver who moved to Augsburg in 1367. His descendants built up the family fortune through trade and banking. 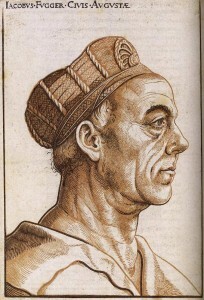 None was more prominent than Jacob Fugger II, who was also known as Jacob the Rich.� Through clever exploitation of a virtual monopoly in the mining and trading of silver, copper, and mercury, Jacob the Rich built an extensive network of real estate, merchant fleets and palaces throughout Europe. Jacob bought and sold politicians of the time, established sovereign rights over the family lands, and even coined his own currency. Thanks in large part to Jacob, the Fuggers became the richest family in Europe. Asaf Jah VII (whose given name was Osman Ali Khan Bahadur) was the last Nizam or ruler of the Princely State of Hyderabad and Berar, before it was invaded and annexed by India in 1948. 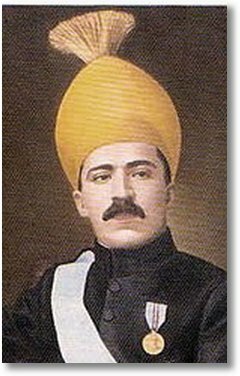 By most accounts, �His Exalted Highness� the Nizam of Hyderabad was a benevolent ruler who promoted education, science and development. He spent about one-tenth of his Principality�s budget on education, and even made primary education compulsory and free for the poor. In his 37-year rule, Hyderabad witnessed the introduction of electricity, railways, roads, and other development projects.� In 1937, Asaf Jah VII was on the cover of Time Magazine, labeled as the richest man in the world. Nicholas II (born Nikolai Aleksandrovich Romanov) was the last Tsar of Russia. 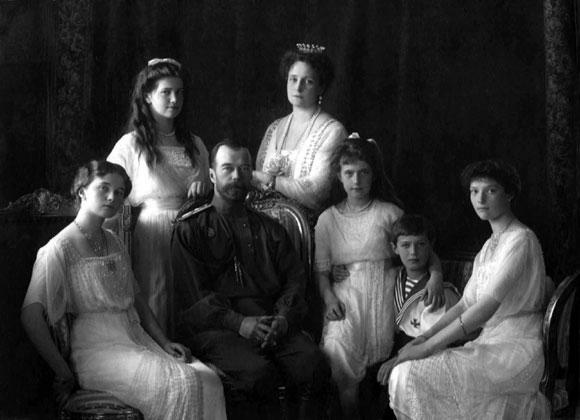 He ruled from 1894 until he was forced to abdicate in the Russian Revolution of 1917 by the Bolsheviks. His reign was marked with antisemitic pogroms, a crushing defeat by Japan in the Russo-Japanese War, revolutions, internal unrests their bloody suppressions, undue influence by the mystic Rasputin and World War I. A year after he was deposed, Nicholas and his entire family were executed by Lenin�s order. Nikolai Alexandrovich Romanov had a net worth of US $290.7 billion at the time of his death in 1918. As Tasr of the Russian Empire at the turn of the 20th century, he also is credited as being the wealthiest monarch and wealthiest head of state. Founder of the Carnegie Steel Company, which was the most extensive integrated iron and steel operations in the United States, Andrew Carnegie merged his company into U.S. Steel and sold his share for US$492 million in 1901. Capitalized at US$1.4 billion at the time, U.S. Steel was the first billion dollar company in the world. 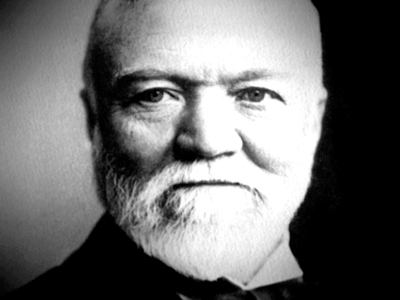 In his final years, Carnegie’s net worth was US$475 million, but by the time of his death in 1919 he had donated most of his wealth to charities and other philanthropic endeavors and had only US$30 million left to his personal fortune. Carnegie’s hundreds of millions accounted for about 0.60% of the U.S. economy and has a real value estimated at US$297.8 billion adjusted for the late 2000s. 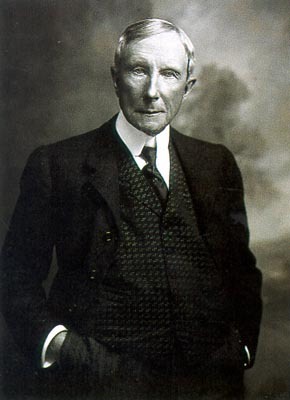 In 1916 John D. Rockefeller measured his personal fortune at US$1 billion, which was a “kingly” amount in the day. Rockefeller amassed his fortune from the Standard Oil company, of which he was a founder, chairman and major shareholder. By the time of his death in 1937, his net worth had grown to US$1.4 billion. Adjustments place his net worth in the range of US$392 billion to US$663.4 billion in adjusted dollars for the late 2000s, and it is estimated that his personal fortune was equal to 1.53% of the total U.S. economy in his day. When considering the real value of his wealth, Rockefeller is widely held to be the wealthiest American in the history of the United States. Though it is not known what the worth of King Solomon and his holdings amounted to in dollars, he is reputed as the wealthiest figure in history. The Bible contends that King Solomon held a fortune that dwarfed any and every person that lived before him. And this fortune did not diminish – each year Solomon received 25 tons of gold, as well as income derived from business, trade and annual tribute paid to him by all of the kings and governors of Arabia. King Solomon’s throne was coated in pure gold and inlaid with ivory. It had 6 stairs, 12 lion statues (1 on either side of each step) and a solid gold foot stool. Two larger gold lion statues stood on either side of the throne. 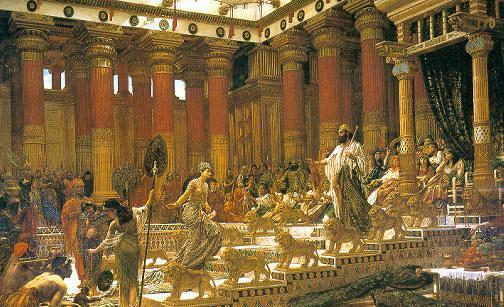 All of the goblets and household articles in Solomon’s palace were pure gold. King Solomon was reportedly so rich, that during the years of his reign over Jerusalem, his immense wealth caused silver to be considered of little value and as common as rocks. As such, nothing in Solomon’s palace was made of silver. Mayer Amschel Rothschild (23 February 1744 � 19 September 1812) was the founder of the Rothschild family international banking dynasty. The Rothschild family is rumoured to be the richest on earth, though their actual worth and full holdings are not known. it is said that they were estimated to be worth $6 billion in 1850, which is the equivalent of close to US$ 100 trillion in 2006 dollars. The estimate of $100 trillion is mentioned as fact by Robert Gaylon Ross, who wrote the book �Who�s who of the Elite”. It is said that the Rothschild are shareholders in many national banks and international financial agencies, in addition to extensive global business assets. But back in the 18th and 19th centuries, no one played the superior information game better than the Rothschilds. The Rothschilds were known for maintaining an extensive (and secretive) information network, connected by financial hubs in five European cities: London, Paris, Vienna, Naples, and Frankfurt. 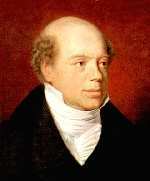 Nathan Rothschild, a bullion dealer on the London Stock Exchange, made legendary use of this information network during the Napoleonic wars, and in so doing laid the foundations of the Rothschild fortune, which is unknown and estimated between US$ 100-400 trillion. You missed Crassus, he should be on the list. He is on the forbes list of top ten wealthiest historiacal figures.